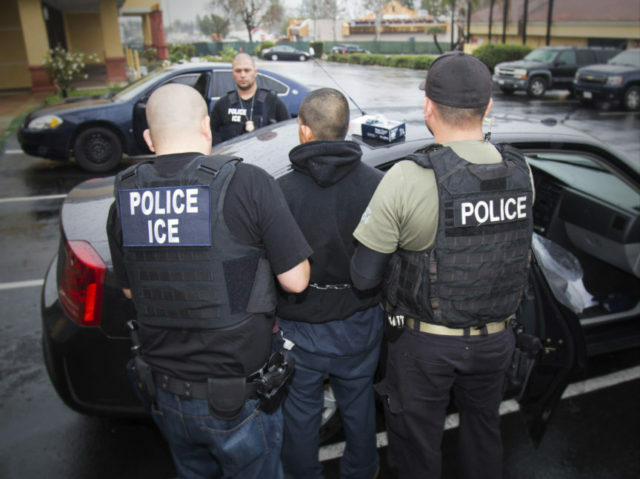 A Survey USA/KPIX poll conducted last week after Oakland Mayor Libby Schaaf tipped off illegal immigrants about potential ICE raids found that 61% in the San Francisco/Oakland/San Jose area—including 65% of whites, 61% of blacks, 59% of Hispanics, and 53% of Asians—believe local police should help federal authorities detain illegal immigrants. The poll also found that 48%, though, agreed with Schaaf’s actions while 34% disapproved. ICE detained more than 200 illegal immigrants last week in the Bay Area but at least 800 illegal immigrants, many of whom are criminals, could not be detained possibly due to Schaaf’s warning, according to ICE officials. “What she did was no better than a gang lookout yelling ‘Police!’ when a police cruiser comes into the neighborhood, except she did it to the entire community,” he said on Fox & Friends. Schaaf was defiant last week, saying she was not even concerned that criminal illegal immigrants were still on the streets in her city because of her alert. On Tuesday evening, the Justice Department announced that it will seek to strike down California’s “sanctuary” laws because they are unconstitutional under the Supremacy Clause.